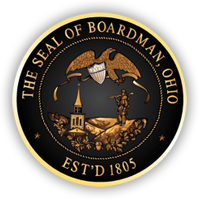 The Boardman Township Road Department, composed of a 24-person workforce, is responsible for the maintenance of 144.258 miles of township roadways, two township-owned cemeteries (Boardman and Zion), eight Storm Water Retention Systems, and all township owned vehicles and equipment (Police, Fire, Road and Zoning). SPRING: Finds the Road Department cleaning up winter storm damage and debris. All streets are swept, and storm sewer lines are checked, cleaned and repaired (210.46 Miles of Storm Sewer Lines and 4,650 Storm Water Catch Basins). Also, damage to township streets incurred during the winter months is repaired. SUMMER: Finds the Road Department in full swing. Work at this time, in addition to the Annual Resurfacing Program, includes the improvement, enlargement and upkeep of the township-maintained storm sewers and water courses. The Annual Resurfacing Program, which began in 1965, continues each summer as entire streets and/or sections of streets are resurfaced according to a yearly maintenance schedule and yearly assessment of road damage to every township-maintained street. FALL: All residents of Boardman are provided with Free Fall Leaf Pick-Up (in Paper Bags) on a scheduled basis. NO PLASTIC BAGS or CARDBOARD BOXES will be picked-up. WINTER: Naturally the biggest job of the winter is Snow and Ice Removal. 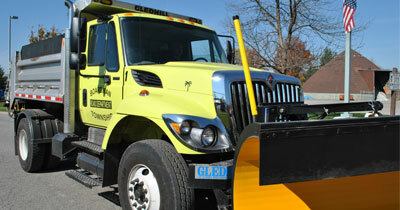 The Road Department has the equipment needed to handle the worst of Ohio’s winters. The department prides itself on being able to maintain safe road conditions throughout the winter season. The Road Department staff is readily available to any resident who has questions or problems with any provided service. Please contact us at 330-726-4190.